In de New York Times twee artikelen over het verband tussen borstkanker en hormonen tegen de overgang. Sinds dergelijke hormonen minder vaak, of in lagere doseringen, worden voorgeschreven is de stijgende lijn in het aantal gevallen van borstkanker voor het eerst in jaren gedaald. Niet dat alle vormen van borstkanker daarmee zijn verklaard, De Amazones zijn daar het levend bewijs van, maar toch. Om op de site van de NYT te lezen moet je je (gratis) registeren. Breast cancer rates fell sharply in 2003, and the lower rate remained in 2004, researchers are reporting today. The finding, they say, fits with a hypothesis they advanced last December when they had data only from 2003. At that time, national data showed that breast cancer rates fell by nearly 15 percent in the 18 months from July 2002 through December 2003. The most likely reason for the fall in rates, the investigators, led by Donald A. Berry of M. D. Anderson Cancer Center in Houston, said, was that large numbers of women stopped taking hormone therapy for menopause. And that therapy, a combination of estrogen and progestins, can increase the incidence of breast cancer. Now, with the 2004 data, the researchers say the effect is less likely to be an anomaly. If rates had gone up again, they explain, it would have meant that their hypothesis was incorrect. The analysis relied on ‘statistical sleuthing,’ said Dr. Berry, head of the division of quantitative sciences at M.D. Anderson and senior author of the paper published today in The New England Journal of Medicine. Over all, in 2003 and 2004, there were nearly 10 percent fewer breast cancer cases than expected. It is the first substantial drop in breast cancer incidence in more than a quarter century. And it involved women age 50 and older, not younger women, and nearly all the decline was in the common type of breast cancer, fed by estrogen, the so-called estrogen-receptor-positive tumors. ATLANTA (AP) — Research on two continents signaled more bad news for menopause hormones, offering the strongest evidence yet that they can raise the risk of breast cancer and are tied to a slightly higher risk of ovarian cancer. New U.S. government numbers showed that breast cancer rates leveled off in 2004 after plunging in 2003 — the year after millions of women stopped taking hormones because a big study tied them to higher heart, stroke and breast cancer risks. Experts said the leveling off shows that the 2003 drop in the cancer rate was real and not a fluke. From 2001 to 2004, breast cancer rates fell almost 9 percent — a dramatic decline, researchers report in Thursday’s New England Journal of Medicine. 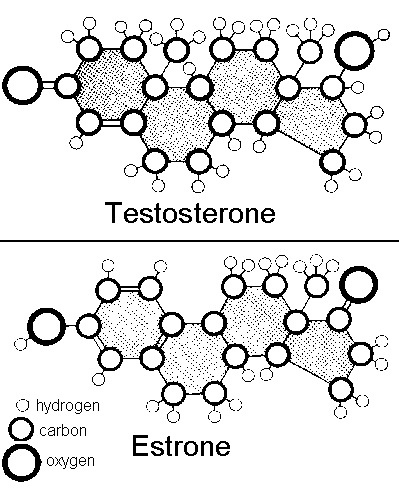 The trend was even stronger for the most common form of the disease — tumors whose growth is fueled by hormones. Those rates fell almost 15 percent among women ages 50 to 69, the group most likely to have been on hormone pills. At the same time, a study of nearly 1 million women in the United Kingdom showed that those who took hormones after menopause were 20 percent more likely to develop ovarian cancer or die from it than women who never took the pills. That study was published online by the London-based journal The Lancet. For consumers, the new research doesn’t change the advice to use the lowest dose for the shortest time possible for hot flashes and other menopause symptoms that can’t otherwise be controlled. For cautious scientists, the new breast cancer numbers were more evidence of the hormone-breast cancer link.